You ask a lot from your vehicle, so why would you not ask a lot from your car dealership too. At Central Chrysler Dodge Jeep Ram of Raynham a lot, is what we are prepared to offer you. We have a huge selection of new Chrysler, Dodge, Jeep, Ram vehicles. We have a great inventory of used vehicles. We have a service department that can handle any problem from any of our brands, no matter how big or small. We have a parts department that can get you all of the genuine OEM Mopar parts that you want and need. We even have a comprehensive collision department that can handle collision damage on any make or model of vehicle. If there is anything that you need in your automotive life, chances are we can provide it. Our new vehicle selection is vast. We have vehicles from all of our title brands including Chrysler, Dodge, Jeep, Ram, and we have a selection wide enough from each of those brands that we are sure to have any and every vehicle that you could possibly need. Our sales staff will help you navigate through our astronomical inventory and they will make sure that we are providing you with the vehicles that you want and need without any pressure or hassle. We know that sometimes our customers are not interested in getting something new, and for that reason we have included several used vehicles into our inventory. These are quality products that are ready to give you many years and many more miles of service. We take every vehicle and carefully inspect it to make sure that it will give you everything that you are looking to get from a vehicle. If you are looking to trade-in a vehicle, then we can certainly help you out with that too. We want to make sure that your Chrysler, Dodge, Jeep, Ram will be there for you with every turn or bump in the road, and that is why we have crafted a service department then can handle your vehicle at its worst, so that you can continue enjoying it when it is at its best. Our service technicians are highly trained and they have the right tools, equipment, and facilities to take care of your vehicle. We will get to work quickly, and we will do the job correctly. We make getting your vehicle serviced as simple and easy as possible. When you are getting parts for your vehicle, you want to make sure that you are getting the right parts. We will work with you and your vehicle to make sure that you get the parts that you need to complete your vehicle’s service. We will also provide you with a quality part every time, and for your vehicle that can only mean a genuine OEM part. We have a huge inventory of parts on-hand so that we can get you the part that you need as fast as possible. If you happen to need a part that we do not have, then we can order it in for you and still get it really fast. 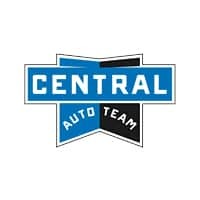 Come to Central Chrysler Dodge Jeep Ram of Raynham for all of your parts needs and we can even use our certified service center to install it all for you.